MONTGOMERY Canal’s special people and places are celebrated in a new 20-minute film Life on the Monty, which has been released on the Canal & River Trust website. Funded by the Heritage Lottery Fund as part of a wider £4 million Montgomery Canal restoration project, it was commissioned by the Canal & River Trust waterways and well-being charity, which cares for the Montgomery and 2,000 miles of the nation’s canals. Filmed during the glorious heatwave summer of 2018, the film follows the Montgomery Canal from its junction with the Llangollen Canal at Frankton Locks in Shropshire to Berriew in Powys, recording the waterway’s fascinating characters and stories along the route. 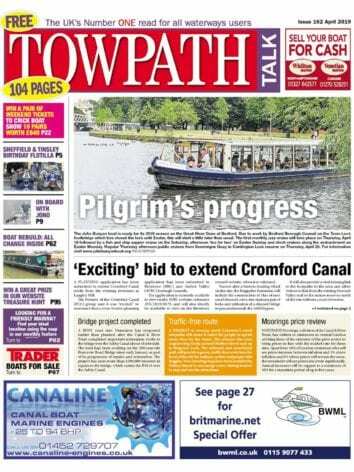 A young Prince of Wales, opening a canal section after the 1969 Welshpool Big Dig, is just one of the archive gems captured in a unique portrait, which also includes a final interview with long-term waterway activist and photographer Harry Arnold, who sadly died this month (November). Other highlights include Canal & River Trust ecologist Sara Hill explaining the inspirational project to protect the waterway’s wildlife during restoration, action shots of historic horse drawn fly boat Saturn, and stunning aerial photography. Sylvia Edwards, the Trust’s Montgomery Canal community development officer, said: “The film is introduced by young supporter Alisha Patel-Smith and features several generations of canal enthusiasts who want to share their passion for this waterway with the wider world. At the heart is a celebration of the canal’s unique environment and the amazing work done by past and current volunteers. 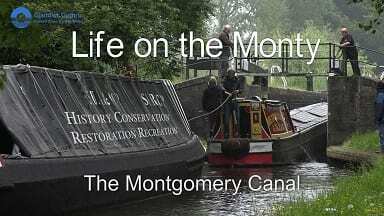 To watch a short trailer or the full 20-minute film ‘Life on the Monty’, go to https://canalrivertrust.org.uk/montgomery. And for more information about supporting the wider Montgomery Canal restoration effort, check out http://restorethemontgomerycanal.uk/.